Three bears meet one big bad girl in this hilarious retelling of a favourite fairy tale. Goldilocks is a brash, bad-mannered young madam who always does exactly as she pleases. So when she takes a stroll in the woods, deaf to warnings, she barges into big trouble. She can’t resist poking around the bears’ cottage, gobbling up their food and making free with their belongings. But when Papa Bear, Mama Bear and Baby Bear return home after their morning ride, they find their house in a terrible state. Will Goldilocks finally be taught a lesson? 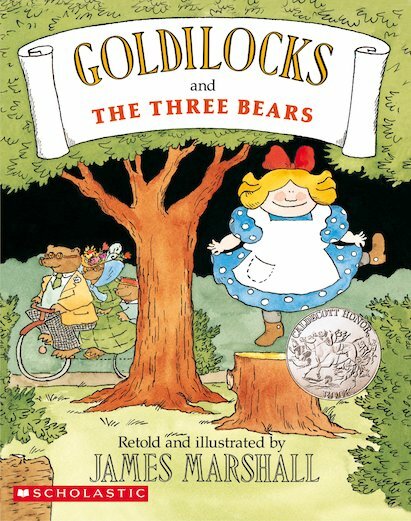 James Marshall’s awards include a Caldecott Honor Award for Goldilocks and the Three Bears.